This is an inspection for contaminants that degrade the air you breathe in your home. Environmental Inspection Services Indoor Air Quality (IAQ) surveys test: sources of air flow; heating ventilation and air conditioning (HVAC) systems; cleaning and maintenance procedures; carbon dioxide, carbon monoxide, formaldehyde, volatile organic compounds, dust load, bioaerosols (mold, bacteria, allergens) and combustion gases. Environmental Inspection Services Indoor Air Quality (IAQ) inspections can include examination of the heating ventilation and air conditioning (HVAC) system; a review of the cleaning and maintenance procedures; and testing and sampling for carbon dioxide, carbon monoxide, formaldehyde, volatile organic compounds, dust load, bioaerosols (mold, bacteria, allergens) and combustion gases. A proactive indoor air quality plan is a powerful way to ensure improved indoor air quality, improved employee relationships, higher workplace productivity and reduced absenteeism, as well at to create a safer and happier workplace. Environmental Inspection Services trained team will establish a successful indoor air quality plan and help to investigate and solve indoor air quality complaints. Visually check rooms for pets/pet dander, excessive dust/clutter, moisture/mold damage. Check room air ventilation/air flow. During the day, due to the “stack effect,” dirty air flows from the sub-area to the interior of your home, where you breathe it in. At night the air flow reverses so that the air comes from your attic — which poses its own problems. 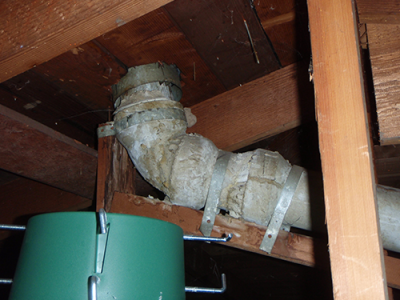 Check the attic for unclean conditions (rodent infestation, bird intrusion, insect infestation, trash/debris), chemical/powder deposits, moisture/mold damage, ventilation and openings into the house. 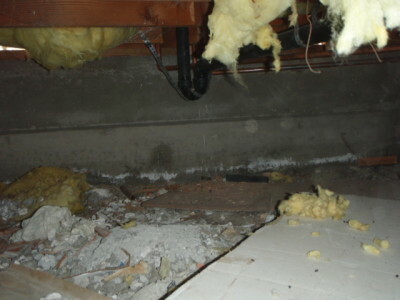 Check the sub-area for unclean conditions (rodent and other animal intrusion/infestation, insect infestation, trash/debris, sewage/plumbing leaks), ground/surface water intrusion, moisture/mold damage, wood preservative (creosote), powder deposits, and ventilation and openings into the house. 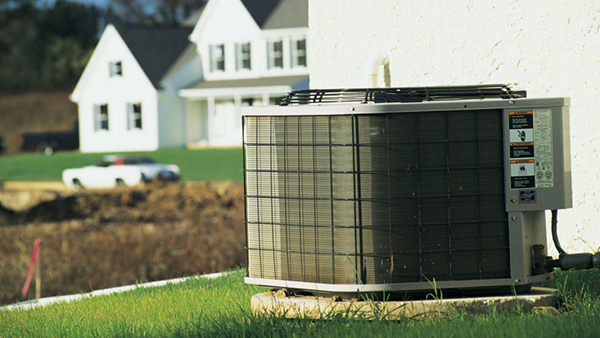 Check the heating ventilation and air conditioning (HVAC) system for age-related deficiencies; old/worn out/damaged equipment, improper return air source (sub area); maintenance problems (water/mold damage from AC leaks, dirty/inadequate air filters, dirt or mold on AC coils, dirty duct interiors), installation defects; improper equipment or materials, gaps/holes in ducts/plenums that allow air loss. Check the kitchen, laundry, and utility areas for dangerous cleaning and maintenance compounds. Check the vacuum cleaner for HEPA filtration. Check fireplaces, furnaces, and other gas-fired appliances for gas leaks and carbon monoxide. On-site testing for formaldehyde from flooring, furniture, paint, fabric, and adhesives. On-site air sampling for volatile organic compounds from furniture, paint, fabric, and adhesives. Dust sampling, and then PCR analysis, to determine whether there’s an historical accumulation of water damage-related molds. Air sampling for mold spores to compare the species and counts to the air outside. Dust sampling for allergens (pollen, pet dander, rodents, etc). Swab sampling for bacteria for residual sewage problems. Can you tell me if this is a “sick building”? Yes. “Sick building” syndrome frequently can be traced to simple pollution sources. 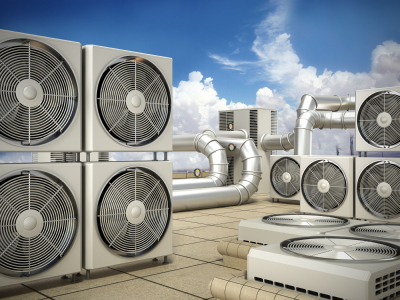 Environmental Inspection Services is experienced in tracking down sources such as heating, air conditioning, ventilation, drainage, air circulation, gas appliances, office equipment, molds and mildew, flood and leak damage, sewage spills, creosote, VOCs (volatile organic compounds, including formaldehyde), pet dander and other environmental hazards. I feel worse at home. Could it be my home making me ill? We cannot offer you a medical diagnosis, but we can help isolate possible sources of unhealthy indoor air environment.